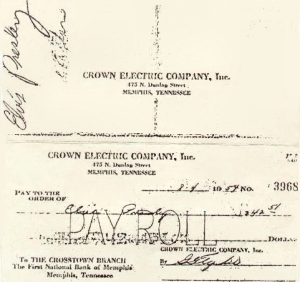 Elvis Presley's First Job What was Elvis First Job? by taking on a full-time job. Precision Tool Company Inc. Upon graduating from Humes High School, Elvis lost no time in contributing to the family income by taking on a full-time job. Precision Tool Company Inc. Elvis briefly held the factory assembly line job at the Precision Tool Company, starting June 3, and ending July 1, 1951. His weekly take home pay was a mere $27.00 working from 7:00am to 3:30pm, five days a week. 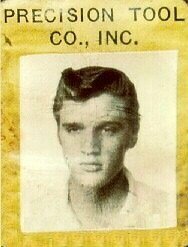 That year he took his driver’s license test using his uncle Travis Smith’s 1940 Buick.A rumour has it that Elvis was fired because of an argument with the foreman over the length of this hair, but Elvis was not fired for his hair but because he was under age. The truth of the matter was revealed on his next job application. 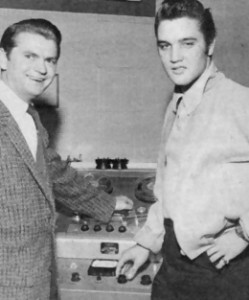 Brothers, Travis and John Smith (maternal cousins to Elvis) also worked there and it was through their contact that both Elvis and Gene Smith get jobs at Precision Tool Company.